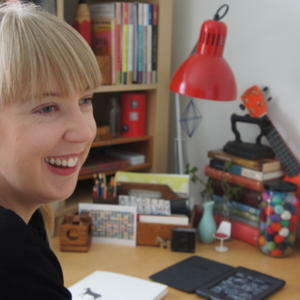 Annabel Smith is the author of Whiskey & Charlie (published in Australia as Whisky Charlie Foxtrot), digital interactive novel/app The Ark, and A New Map of the Universe, which was shortlisted for the West Australian Premier’s Book Awards. Her short fiction and non-fiction has been published in iconic journals Southerly and Westerly, and she has been privileged to be selected as a writer-in-residence at Katherine Susannah Prichard Writers Centre and the Fellowship of Australian Writers. Annabel holds a PhD in Writing from Edith Cowan University, is an Australia Council Creative Australia Fellow, and is a member of the editorial board of Margaret River Press. Is the Publishing Industry Ready for Interactive Books?